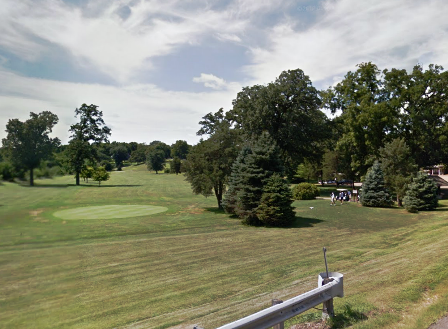 Bluegrass Creek Golf Course is a Public, 9 hole golf course located in Minier, Illinois. Bluegrass Creek Golf Course first opened for play in 1961. 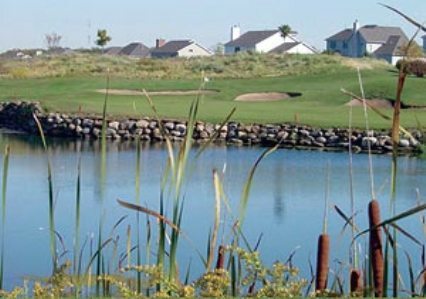 Bluegrass Creek Golf Course is a scenic course with many natural hazards. The medium-sized greens are well-maintained, and the fairways vary in width. A natural creek flows throughout this course that comes into play on seven holes. 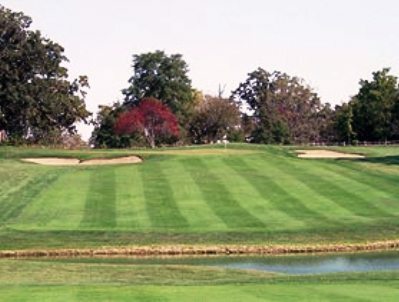 Blue Grass Creek Golf Course plays to a 9-hole par-36 and a maximum 9-hole distance of 3,048 yards. 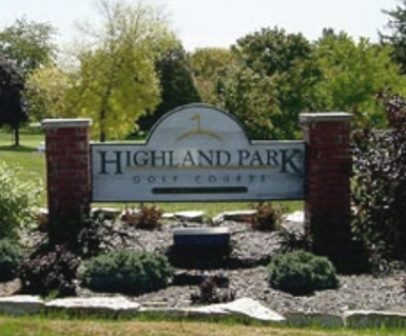 The course rating is 35.0 with a slope rating of 113. 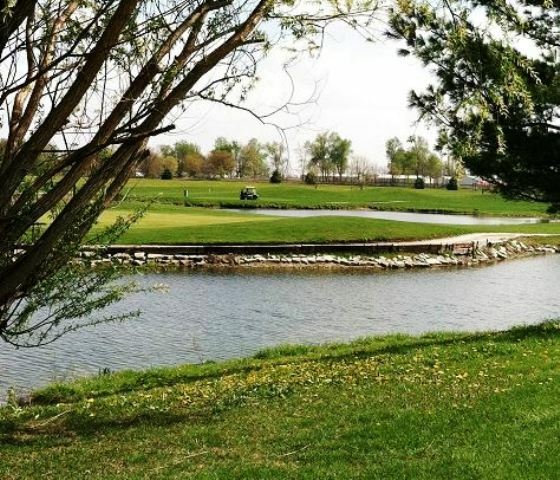 The signature hole at Blue Grass Creek Golf Course is #8, a 570-yard, par 5, requiring a shot across the creek to an uphill green. The course is hard to talk about. The day I played it was a fantastic day. mid 60's temp and just rained in the morning. This course is a true back to the past experience. Don't think fancy, think rural and empty. Played 18 holes on Sunday and the clubhouse wasn't open. About 4 cars in the gravel lot, had to pay in a locked mail box. The green fees were $5 each. What a great place to take a new golfer. 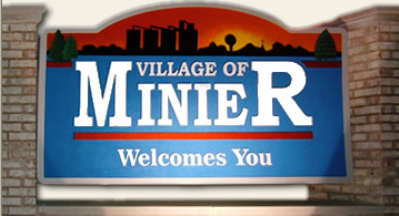 The community of Minier is 3 miles away and the course is nine holes. It is impossible to get off the fairway. It is all fairway. That doesn't mean it is Agusta. The Spring time and Fall time is great. The forward tees are perfect for someone who wants to learn to play golf. 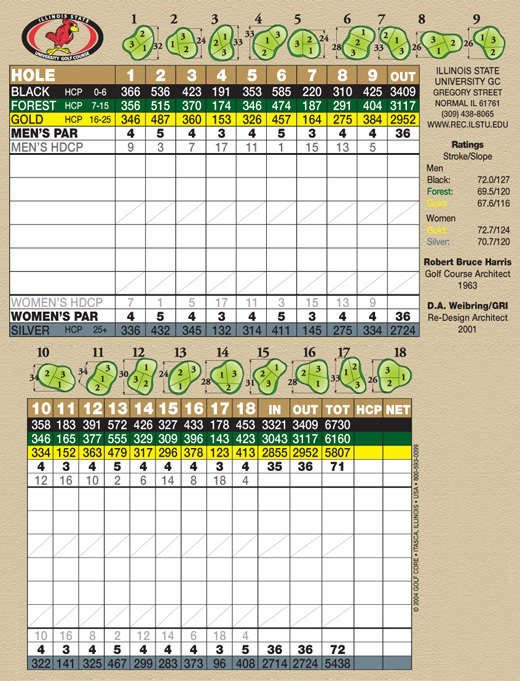 For the 9 handicap I have there is pleanty to challange me. The beauty is in the eyes of the beholder here. 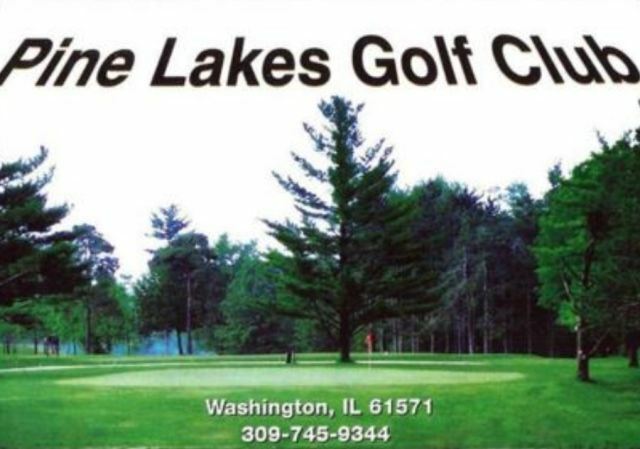 I recommend the place to anyone who wants to show a begining golfer how to play. There are sufficent trees and creek to spice up the round.